Cooking with TAY! Movie Night Shopping list! Although this might be a little alien to some people (OH GOD I COULD NOT RESIST), I'm going to create Welsh Rarebit Hamburgers. Prepare to get sloppy. This recipe has a special place in my heart as Welsh Rarebit and its cousin, Chipped Beef were some of the only things my dad could actually "cook" beside mac n cheese and vienna sausages. As usual, here are your shopping lists. Herbivore's power level. It's over 1900! 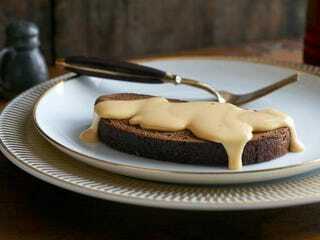 For this recipe I'd suggest either just dropping the meat altogether as this is a mutant rarebit anyway.